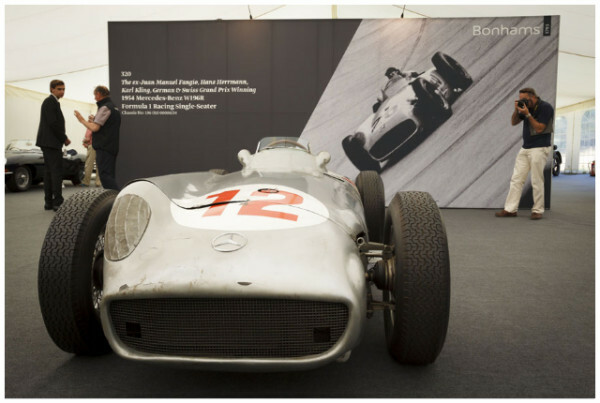 A 1954 Mercedes-Benz W196R shattered auction records at the Bonhams Goodwood Festival of Speed 2013 auction, selling for £19,601,500 (USD $29,650,095, €22,701,864) on Friday 12 July. 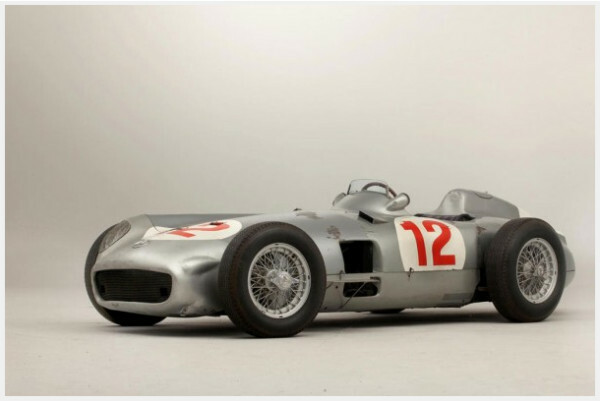 The sales price for the ex-Juan Manuel Fangio Formula 1 racing car is the new world record for an automobile sold at public auction, easily surpassing the previous record of £10,086,400 (USD $16,390,000) set by a Ferrari 250 Testa Rossa in 2011. 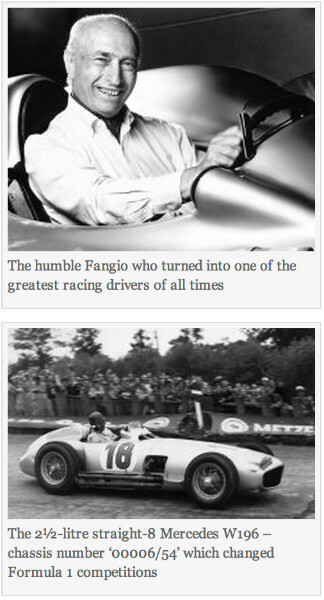 Automotive history was made at the Bonhams Goodwood Festival of Speed Sale on Friday when the car that took five-time champion Juan Manuel Fangio to the second of his Formula 1 world titles achieved a record-breaking figure of £19,601,500 (US$29,650,095, €22,701,864). 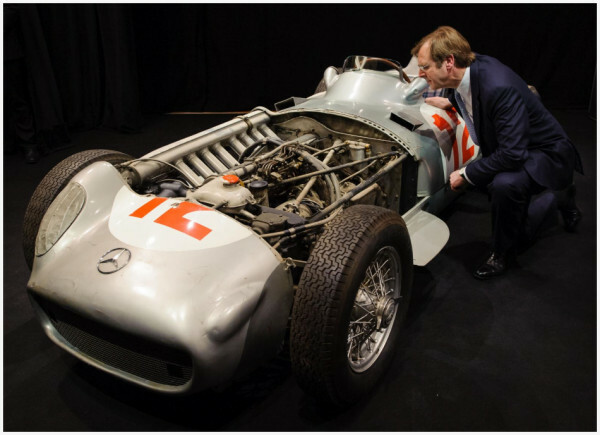 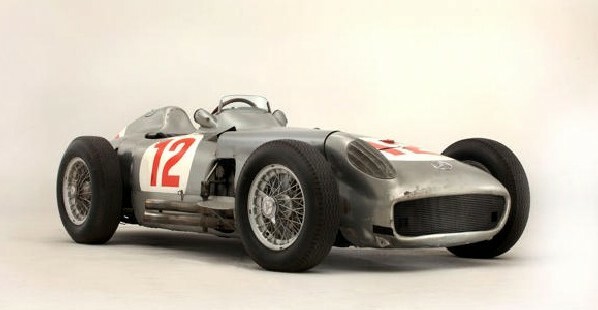 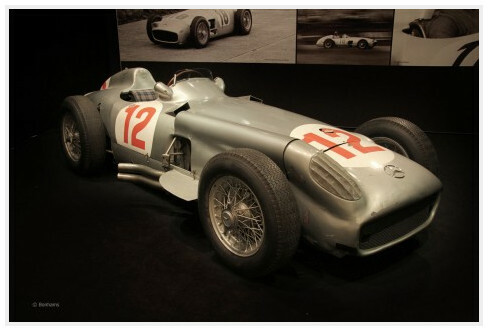 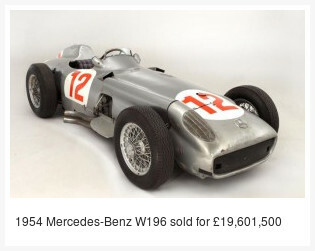 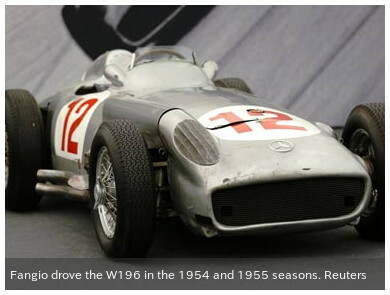 The Mercedes-Benz W196 with which legendary Argentine racing driver Juan Manuel Fangio won the second of his five Formula One world titles was sold Friday at auction for 17.5 million pounds ($26.4 million).